In the past weeks we have been playing around with some of the game’s locations. Although we pretty much know what we need, we have not decided on the final look of some of the locations. That is why we would like to share some of the current work-in-progress stuff with you. 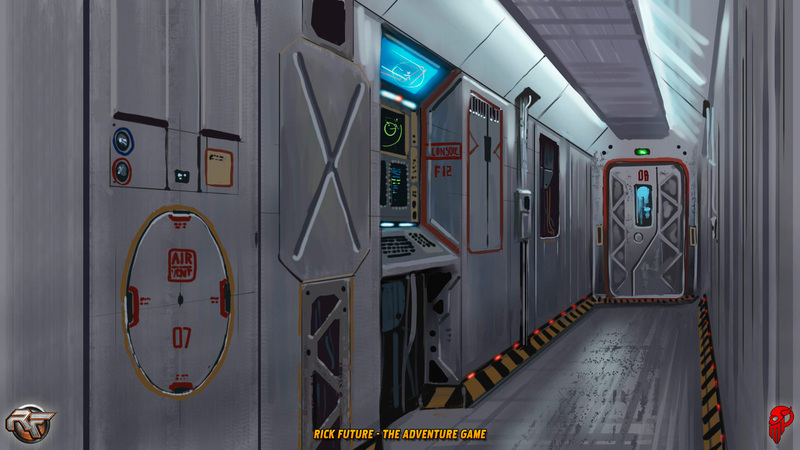 Check out some concept art of the interior of the Eric below. This is a concept of the cargo hold of the Eric where quite a few key scenes will take part. The big hatch in the background will allow our heroes to transfer from the ship to various planets. 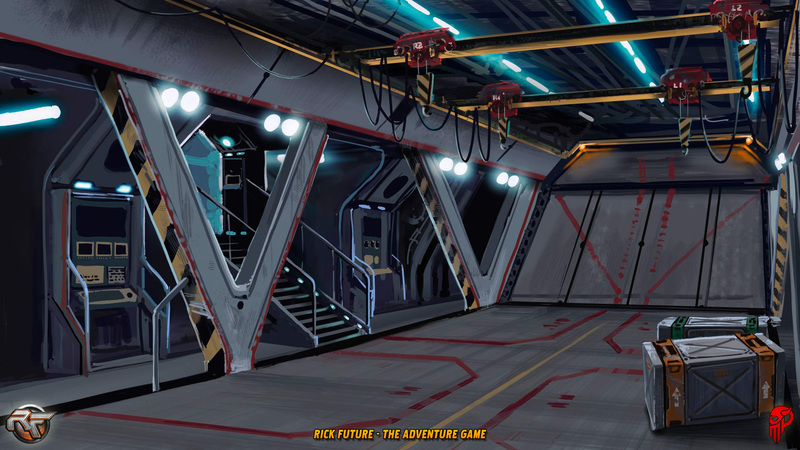 The above concept is a work-in-progress image of one of the Erics corridors connecting the various rooms in the ship. We have a couple more locations in the works right now, so you can look forward to some more updates in the future. This entry was posted	on Friday, December 12th, 2014 at 10:46	and is filed under News, RokNewsPager. You can follow any responses to this entry through the RSS 2.0 feed. Both comments and pings are currently closed.